Luxuriate in the idyllic Mediterranean seaside artist enclave of Collioure — our off-the-beaten-track, heaven-on-earth base -- the color-drenched paradise which inspired Matisse and Picasso. Here, you’ll have time to sketch, paint, journal, learn new techniques, be inspired, and savor the golden liquid light and the food, wine and warm companionship of kindreds. We’ll take a slow travel approach, spending 5 days/6 nights based in Collioure exploring the artist enclaves here and nearby, and 2 days/1 night in and around Barcelona and northeastern Spain. Feast on a remarkable selection of art taster courses, creativity-boosting play and behind-the-scenes studio tours and great shopping for modern and vintage local textiles in a variety of abundant markets and specialized venues. We’ll meet and be inspired by English-speaking local artists and their working studios, as well as visit markets, galleries and a select number of museums. Swoon! So, leave plenty of room in your suitcase because I predict you’ll be taking many treasures back with you to incorporate into your newly-inspired creative projects. Meet artists in their drool-worthy French studios — artists who are creating stunning works of art combining traditional skills with contemporary je ne sais quoi French style. Wander around the village and open markets and enjoy the art, the food, the music, the people, the ambiance and much more. You can tour the breathtaking masterworks of Barcelona’s most famous architect, Antoni Gaudí, enjoy the Dalí Museum in Figueres, Spain, Dali's house in Cadaques, Spain, and see original works of Picasso, Matisse, Chagall and Miro at The Museum of Modern Art in Ceret, France. south of France + northeastern Spain. & plenty of time for you to paint and sketch. Experience the delicious French countryside with its verdant rolling hills and fields of wine grapes, where we’ll experience the real south of France up-close and tactilely. Stunning scenery awaits you as well as fine local wines and cheeses and fresh, rustic local dishes such as cassoulet, foie gras and savoury tarts. Along the way, your eyes will drink in gorgeous collections of original color-saturated art in a select number of galleries and museums. How can you say anything but YES!? Unpretentious Collioure is a distinctly Catalan town, set in a cove where the majestic Pyrenees fall into the sea, just 15 miles from Spain. Its pastel row houses ascend from a small bay that twinkles like wet paint. Life in Collioure carries little urgency. In summer, the beaches and sunny seaside terraces fill up with French families on holiday, but Spring is the time to come. In the old quarter of Collioure, a tangle of narrow alleys, steps, tall, brightly painted houses, tumbling bouganvillea and geraniums, artists studios, small shops are delight to wander round. Where the Pyrenees slip down into the Mediterranean sea, where the vineyards come to the edge of the town, where the brightly painted houses reflect the colours of the remaining Catalan Barques moored at the Quay you will find Collioure… Back in medieval times, Collioure’s reputation revolved around the salting of anchovies, sardines and tuna. But it was the wild and wonderful Fauves, who put Collioure on the art map of Europe if not the world. And there it remains, the Jewell of the Cote Vermeille, the Vermilion Coast, loved and enjoyed by its 3000 permanent residents and many visitors who flock to Collioure each summer to soak up the colors, sun and vitality. Matisse arrived in Collioure in May, 1905, at the age of 36, depressed and full of self-doubts. Getting off the train, he was struck by the vitality of the little Catalan fishing port. His depression lifted. All around he saw colour and light, almost violent in its intensity. Later, he remarked that the colours of Collioure had been as “sticks of dynamite”. Venez! 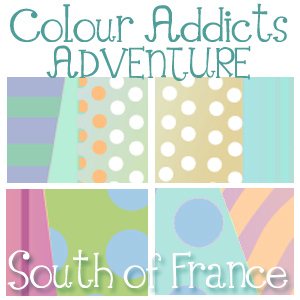 Come to Collioure in May 2014 and find your own 'sticks of dynamite' to ignite your creativity. At night, Collioure's cobblestone streets feel intimate, as you duck into lamp-lit cafes like Casa Léon on Rue Rière. Order a crème catalane, a rich custard dessert, and a glass of local Banyuls red, which smells like baked fruit and tastes sweet, sunny, and sincere – everything the Mediterranean should be.